One of the top names in multifamily, RDJA got its start in hotels. Call it fate, call it what you will, but RD Jones + Associates (RDJA), arguably one of the nation’s premiere multifamily interior design firms, has risen to the top of the industry having accidentally stumbled into it a little more than a decade ago. Fortunately, Jones followed up. 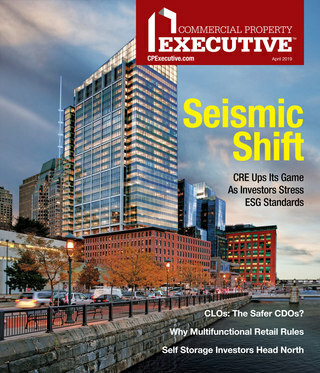 Since that time, multifamily has built up to encompass more than 70 percent of the firm’s work, according to Jones. And now, having completed more than 150 total projects to date spread across both hotel and multifamily sectors and with another handful of projects in the pipeline, it’s safe to say that RDJA isn’t going anywhere anytime soon. Jones was destined for design. Even in her early childhood days she was attracted to the subject, but didn’t really hone in on a specialization until years later. The scope of her specialization started to come into focus after enrolling in architecture classes at Texas Tech University, where she had the opportunity to cut her teeth on her first “strong feel for space,” while taking architecture courses. After earning her BFA degree in Texas, she studied at Parsons School of Design in New York City, which led her to her first apprenticeship with then-London-based Trust Houses Forte Hotels. After a stint of design work for several companies in New York, including Prime Motor Inns, which owned about 250 properties nationwide, Jones boarded her boat and set sail for Baltimore with the intention of starting her own company—which she did in 1996. Since its origins in the mid-1990s, RDJA has grown to accommodate a staff of 35 and, following the initial years of purely hotel industry-based work, has developed into a top-tier multifamily interior design firm. “We consider ourselves an interior architectural group,” Jones says. The first maintains that the organization is comprised of interior strategists that “dream, develop and deliver word-of-mouth-worthy designs regardless of scope or budget.” The second philosophy, “bottom line design,” adheres to the principle of providing clients with “long-term design solutions,” while the third, and perhaps essential, philosophy offers the promise of executive-level involvement on every project. The fourth philosophy helps the firm deliver on the promise of careful documentation and partnership. Since migrating toward multifamily in the early 2000s, RD Jones has completed about 40 projects in the industry across five states and has earned a reputation that has obtained the business of top-tier developers, including Bozzuto, ZOM, BF Saul, JBG and USAA, according to the firm’s Managing Partner and fellow Principal Bernard Holnaider. Holnaider met Jones in 1998 after relocating from Pittsburgh. It was recommended by a sales executive that the two should meet. The rest is history. Some of the firm’s pipeline includes their most recent projects, 900 East Fort & Banner Hill in Baltimore and Serenity in Cambridge, Mass., as well as MET3 & MODA in Miami, Eastside III in Pittsburgh, Residences of La Cantera in San Antonio, The Hudson in Houston and at least eight new buildings in the Mid-Atlantic. In addition, RDJA had been working on a six-star hotel project in Antigua, West Indies, bringing it through the conceptual design phase, but the project has since been placed on hold. Holnaider is an integral part of the company, bringing his many talents to the table as needed on a day-to-day basis. He serves as the company’s creative director and principal on RDJA projects. Additionally, he works to build a great team and reviews all design and specifications to ensure that the company has completed the project to RDJA standards—on top of overseeing the on-site installation of most of the company’s work, honing back to the firm’s third philosophy of principal involvement on all projects. RDJA’s design prowess has garnered multiple projects from several clients, including 18 projects for The Bozzuto Group, which includes the award-winning Union Wharf development in Baltimore and the recently developed Monroe Street Market in Washington D.C. The quality and timelessness of the design in these types of developments, according to Jones, has clients seeking out RDJA, and it’s rare that the company goes through a bidding process. But merely getting projects is not a sure-fire guarantee for return business. The industry is highly competitive and if a firm doesn’t follow through on the promise, another firm will. Attention to design “level of surface, level of finish and complexity” are key to the firm’s design approach. “I think that a lot of the differentiation of our work is that it’s much more about creating special design and really making spaces work operationally as well as creating the wow factors that make the work sizzle,” Jones notes. It’s these principles that drive RDJA to produce “value performance” for each customer, which ensures a long-lasting and nearly time-proof product. The final result of the large-scale new—and existing—residential projects is often the culmination of several years of planning, Jones says. Architectural, design and landscaping teams are all brought on during the initial conceptual stages of development in order to guarantee project cohesion and unity, but also to “help drive commitment to leasing” through the rendering and presentation process. “Even now, we are making sure that the branding and graphics people are all brought on in the very beginning so as to create the kind of ultimate package to deliver,” she says. RDJA couldn’t have entered multifamily at a better time in history. The combination of two recessions (early 2000s and Great Recession) and a Millennial generation that doesn’t seem to be interested in buying homes has helped to create an atmosphere of rent-by-choice that has helped usher a new era in multifamily design that has grown dramatically more sophisticated over the past 10 years. Though the company is still involved in the hotel aspect of the industry, both Jones and Holnaider agree that multifamily is a good fit. “Rebecca and I have both worked for hotel owners and when asked to work on a multifamily project we knew that it would be a pretty easy transition if we used the great formula that was imbedded in our training in the hotel world,” he says. While design is driven by many factors such as retail, fashion and other social phenomena, it wasn’t really something that traditionally carried over into multifamily communities, which were typically viewed as housing. 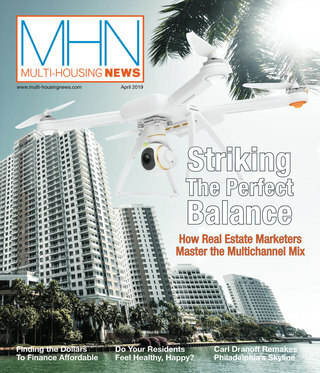 Holnaider agrees and says that the multifamily industry has seen design change for the better.